The Fredericksburg Songwriters' Showcase presents Mary Flower and Catfish Hodge on Saturday, March 28 at 8 p.m. in the Concert Hall above Pickers' Supply (902 Caroline Street, Fredericksburg, VA). Please note that this show only is on Saturday night instead of Friday. Also, this show has a suggested admissions donation of $6. Seeing these two artists in Fredericksburg is a rare and wonderful opportunity. Call (540) 898-0611 for information. Mary Flower is one of this country's finest acoustic blues musicians. She is a singer with a resonant, sultry voice and a consummate guitarist. Based in Denver, Colorado, she is well known to audiences throughout the country. 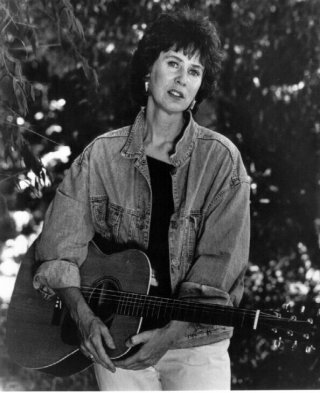 Mary is a founding member of the notorious Mother Folkers, a faculty member of Swallow Hill Music Association, and a nationally renowned acoustic blues musician and songwriter. Mary plays fingerstyle guitar, and lap slide guitar on a 1931 National tricone. Mary began playing professionally in Colorado in the early'70s, working the ski areas with Randy Handley and Katy Moffatt. She and Katy toured the country on the National College Coffeehouse circuit. Marriage and two children later, Mary remained musically active locally, working with various artists including Pat Donohue, Duane Webster, Vicki Taylor and the Mother Folkers. During that period, she received a prestigious fellowship from the Colorado Council on the Arts and Humanities for her songwriting skills. Colorado's “Westword” voted her "Best Folkie” three times over. Her Blues Jubilee CD was voted “Best Local Blues Recording” in 1994. Rosewood & Steel garnered the same honors when it was released in 1997. In 1993, Mary was a visiting guest artist at Blues Week at the Augusta Heritage Center in Elkins, West Virginia. This experience inspired Mary to perform beyond the confines of Colorado, and she has since crisscrossed the country many times each year also teaching blues at Augusta. Many of her concert bookings include country blues guitar workshops. She has hosted many “Women in the Blues” workshops at schools around the country and participated in a forum on the current state of women in the blues at the 1995 Handy Awards in Memphis. By the early ‘70s, Catfish had settled into Washington, DC where he was packing them in at Desperado’s Childe Harold and the Cellar Door with what the Washington City Paper describes as “his cheerfully muscular blues ‘n’ boogie.” He made a few friends along the way, too. 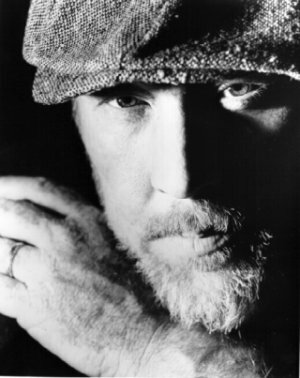 He became a regular opener for Bonnie Raitt and Little Feat, who also started showing up on his recordings. When he formed the Chicken Legs Band in 1981, he was joined by Little Feat’s Kenney Gradney, Richie Hayward, and Sam Clayton. Their final tour hit 21 cities and sold out every one. By the ‘80s, Catfish headed west to California where he still resides. In 1985, he put together the Bluesbusters along with Little Feat’s Paul Arrere. T. Lavitz of Dixie Dregs would sign on a bit later. For a time, he kept his touring close to home to assist his wife, Kathleen, with the more critical task of raising their two sons. But children became more independent and the touring offers kept rolling in, so Catfish is out there once again, pulling them in with his distinctive sound and style. His 1994 debut album with wildcat, Catfish Blues, has sold 15,000 copies so far with no end in sight. Like a Big Dog Barkin’ sold 6,000 copies in its first week and is slated for release in Europe in July, 1995 on the Wildcat/Coliseum label out of Frankfurt. An evening with Catfish is a raucous romp through life’s occurrences, punctuated with his unique insights and wit. While critics struggle to classify his sound, calling it “Delta jazz”, ‘Southern rock”, or “rhythm and blues”, Catfish just keeps on keepin’ on, pleasing the crowd with his right-on songs and electrifying stage presence.